Bring your child on a Thursday afternoon between 4 and 5 pm for a fun filled hour of crafts. The cost is $15.00 – al the materials are included. 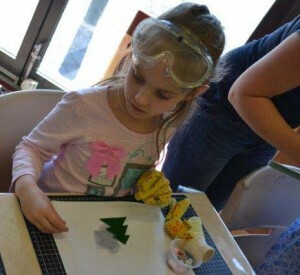 Your child will be introduced to paper craft, mosaics, pewter work, mixed media, beading and many more. We have a scrapbook session for children once a month – teaching them different scrapbook techniques.